Check out our listing at the Digital Commonwealth. Patrons wishing to use the genealogy room should sign in at the Reference Desk. Copying or scanning of materials is performed by the Reference staff depending on material condition. Please ask for assistance. 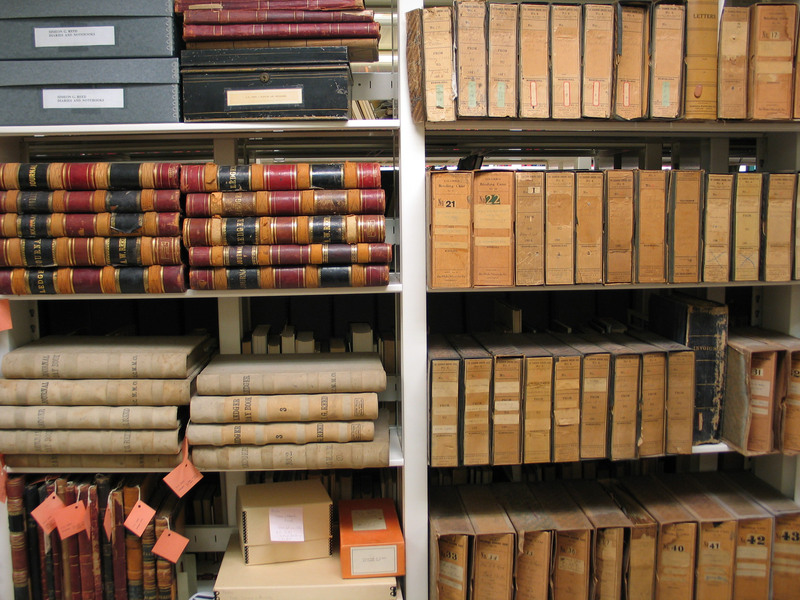 The archives are available and open to public use by appointment only. To make an appointment with the archivist, please use the contact form. The Rules and Regulations for Use of Mateirals in Archives must be read and signed before use. Please note that access to materials is at the discretion of the archivist. Permission to reproduce is granted by the archivist on a case by case basis. All patrons wishing to access the Archives will need to present a photo id or library card and sign in. Please note that only paper, pencils, laptops or other technology will be permitted in the archives. All notes must be taken with a lead pencil. Ink in any form is not allowed, nor are pressure sensitive notes such as Post-Its. Please see the archivist for a complete list of restrictions and guidelines.